Note: This episode was recorded in front of a live audience at MOCA Jacksonville the night of Tuesday, April 7 2015. 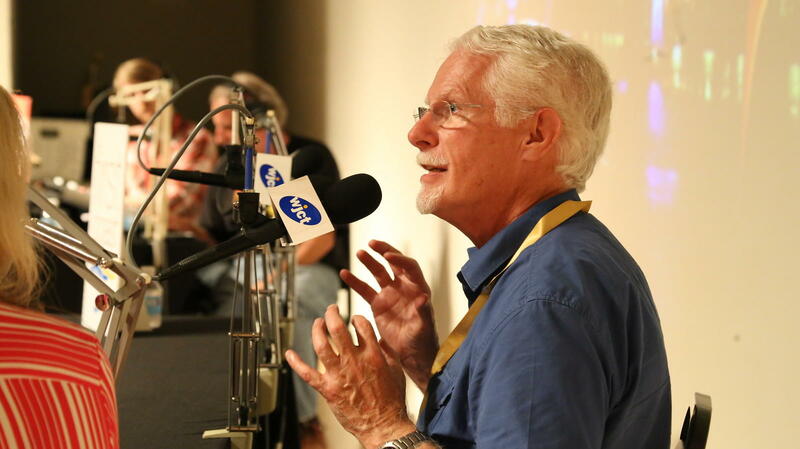 Jacksonville historian and art activist Wayne Wood speaks with First Coast Connect host Melissa Ross. As the 2015 One Spark crowdfunding festival begins, we speak with special One Spark Speaker Summit guests Tamara Mendelsohn, VP of marketing for EventBrite, Ryan Feit, CEO of SeedInvest, and Maya Penn, CEO of Maya's Ideas. MOCA Jacksonville Director of Communications Denise Reagan joins us to discuss the museum's ongoing MOCA is Now campaign and special programming during the festival. We also speak with One Spark's Meredith O'Malley Johnson and Patrick Murphy about what goes into making the event happen, and how you can vote for creators. Jacksonville historian and art activist Wayne Wood joins us to discuss his work with UNF's Enlivened Spaces class to create a large great white shark sculpture that will float in the Hemming Park fountain throughout the One Spark festival. And we speak Mee Mee TV Jax founder Kathryn McAvoy about the station's focus on local productions. You can subscribe to First Coast Connect's daily podcast in iTunes. The third-ever Jacksonville One Spark Festival is underway downtown. Thousands of people turned out for the opening ceremony Tuesday night. The crowd funding festival kicked off in Hemming Park as the sun was setting. 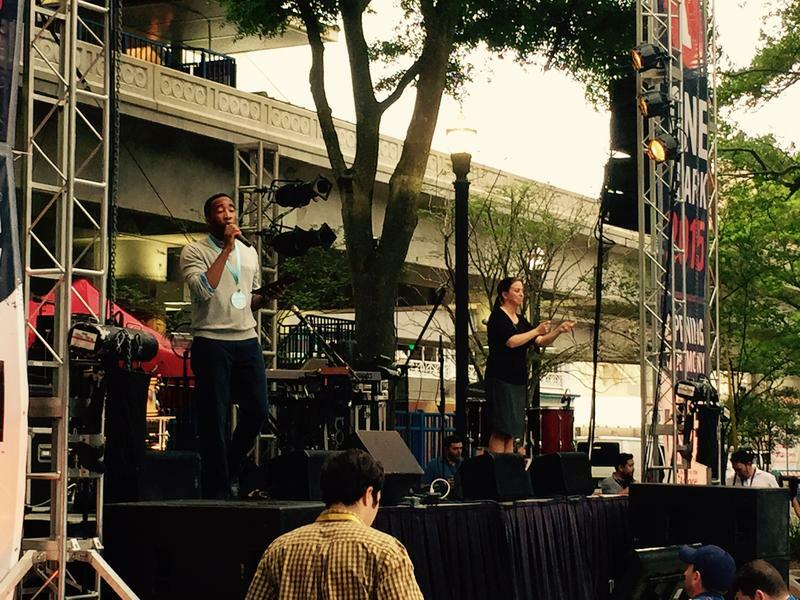 “I want you to hash tag #OneSpark2015 until your fingers start hurting, OK?” emcee Doc Waller told the crowd. Waller said he wanted news of the festival to spread around the world in a night on social media. He also invited attendees to download the One Spark app so they can vote for and contribute to more than 500 creator projects. This week marks the third year in a row thousands of people are coming to downtown Jacksonville for the city’s One Spark festival. The massive crowdfunding event is keeping the city in the spotlight beyond the First Coast. Jacksonville’s third annual One Spark crowdfunding festival is more than just a hub for innovators seeking money for their projects. It’s also a major branding opportunity for the city. WJCT analyst John Burr says the festival founders need to capitalize on the event’s success and keep thinking big. 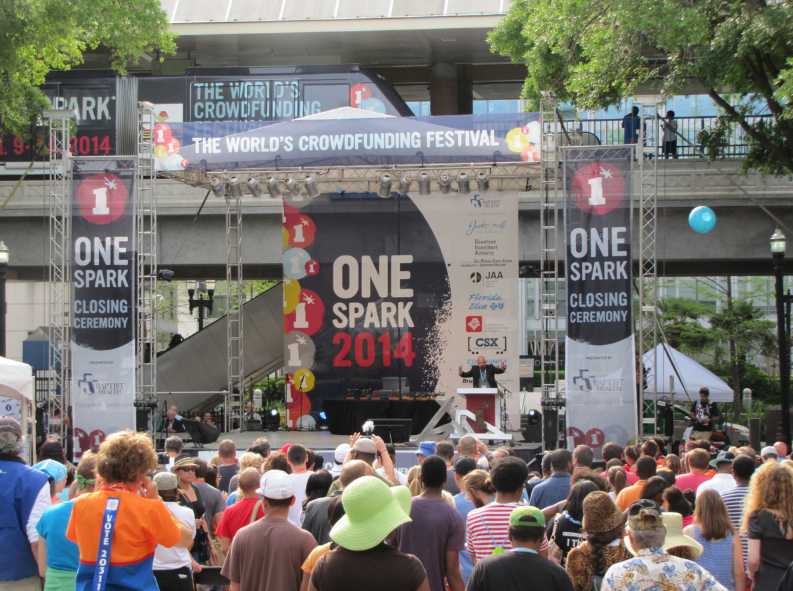 As the third annual One Spark crowdfunding festival kicks off in downtown Jacksonville, we look at the economic and cultural impact the event has had so far with WJCT business analyst John Burr. Dr. Scot Ackerman of Jacksonville's Ackerman Cancer Center joins us to discuss proton therapy, a precise, cutting-edge form of radiation used to treat cancer. And we get a preview of State Aurora's production of "The Color Purple" from cast members Felecia Ewing, Tyrone Lennen and Jennie Baker. 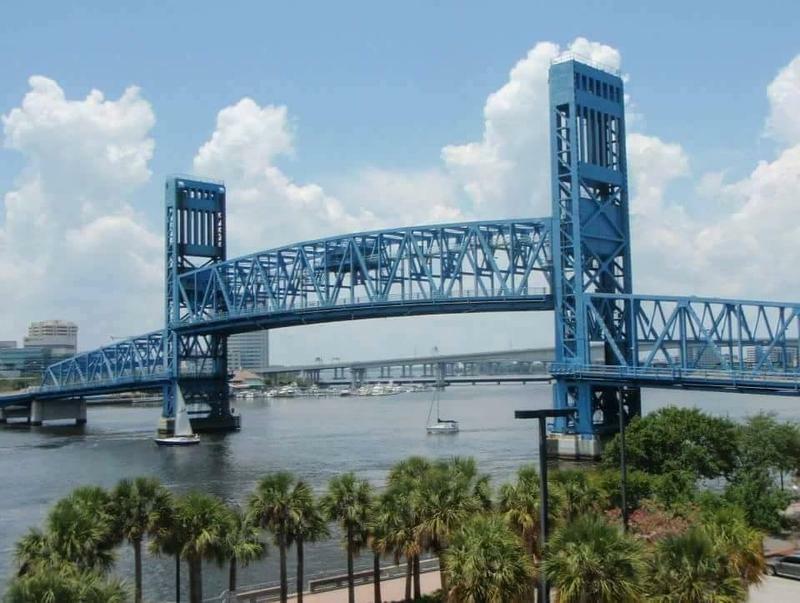 With crowds expected to flock to next week’s One Spark festival in downtown Jacksonville, work on the Main Street Bridge will be temporarily paused. The project of rehabbing the nearly 70-year-old bridge often causes delays with frequent lane closures. That work is scheduled to be complete by summer, but Florida Transportation Department spokesman Ron Tittle says other traffic delays are here to stay. 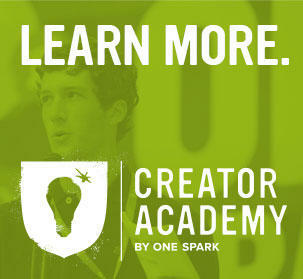 The One Spark Creator Academy presents Creator Campfire Chats, a series designed to provide valuable insight and information for current and prospective One Spark Creators. The segments are designed to help entrepreneurs and artists to be able to best leverage the One Spark crowd-funding event to accomplish their goals.